CES 2019 is now wrapping up, and all week we've been hard at work covering the show live. We've seen major keynotes from Intel, LG, Samsung, Sony and others, while hunting down and testing the most exciting tech at Las Vegas. 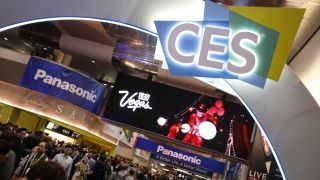 The 2019 International CES began on Tuesday, 8 January and ends on Friday, 11 January. It's been taking place since 1967 and is staged by the Consumer Technology Association (CTA), a trade organization that represents over 2,000 consumer tech companies in the U.S.
How big exactly is CES? It's huge. If you're going for the first time, go on a few five-mile walks in the preceding weeks. Seriously, it's hiking boots-big. There are 2.75 million net square feet of exhibit space. Eleven venues. 24 product categories. Some company's booths are vast and complex, while other, smaller firms grab a table in one of the 25 marketplaces. In terms of footfall, the CES attracts about 180,000 people from 155 countries, as well as 6,500 media, who visit 4,500 exhibiting companies. All the biggest tech companies in the world gather ... well, except for Apple (although, in our view, Apple had its best CES ever without even being there). Here's our pick of the best CES roundups, opinion pieces and trends that have emerged from CES 2019. During our time at CES 2019 we've seen some brilliant tech, and we've picked the very best gadgets that's we've seen at this year's event. Whether you’re a diehard vinyl enthusiast, a pro DJ or dusting off your parents’ records for the first time, CES 2019 had a turntable for you., and we've selected the best vinyl record players on show at Las Vegas. Can a pair of headphones really help you to learn how to juggle? That's what the Halo Sport 2 promises, as it delivers an electrical current to the motor center of your brain. CES 2019 was a fantastic show if you're looking for new hardware to upgrade your PC with, with the big three (AMD, Intel and Nvidia) all showing off exciting new components. We've whittled down all the tech we saw to bring you the very best selection of PC components at CES 2019. From gargantuan 65-inch displays to RGB lit spectacles, CES 2019 was packed with new monitor launches, and we've picked the best monitors of CES 2019 that you'll want to plug into your PC right now. Virtual reality (VR) has been around the block for quite some time now, but with this year's CES, we're finally seeing some innovation that makes the future of VR brighter than ever. With exciting new announcements from heavyweights HTC and Oculus, as well as some incredible 8K innovation from the likes of Pimax, we can't wait to see what these products will do for the field of VR. Wearables had a fantastic year at CES 2019, and we've picked out seven of the best wearables that impressed us in Las Vegas. All of these wearables are brilliant gadgets that you'll want to strap to some part of your body in 2019. CES 2019 has been a fantastic display of new, innovative smart home gadgets, and we've picked the best smart home technology that caught our eye. From smart clocks, to Google-powered planks of wood (yes, really), we've selected the top gadgets to make your home smarter in 2019. OK, so there weren't that many Blu-ray players on show at CES 2019, but the ones we did see prove that there's still life in physical media. So, if you don't want to rely on Netflix for your 4K content on your nice new UHD TV, check out our pick of the best Blu-ray players at CES 2019. So, we've picked out the best headphones at CES 2019 that will make your music sing this year. CES 2019's 'Ninja hangout' is a place where smaller companies can show off their innovative new products. It's also a great place to see some of the weirdest tech on show at Las Vega, and we've collected the oddest gadgets we saw at the hangout. The future is going to be weird. At least, that’s the impression we get from what we've seen at CES 2019 in Las Vegas. Prepare to be amazed, amused, and bewildered, as we bring you our pick of the weirdest gadgets we’ve seen at CES 2019. At CES 2019 we've seen the usual conveyor belt of weird and wonderful kit, from massive 8K TVs to foldable phones. But, despite the world's media descending on the Las Vegas Convention Center, the photographic industry has chosen to keep a low profile again this year, which led us to ask: what happened to all the cameras? The HP Omen X Emperium, is a monitor as lust-worthy as it is ridiculous, with a 65-inch 4K display, G-Sync HDR and even a built-in Nvidia Shield console for streaming games. It's totally over the top, but that's why we love it, and if you have the budget, you should consider getting it as your next TV. Gaming laptops have been in a bit of a rut recently, but at CES 2019, we've seen a huge number of innovative new notebooks that have made us excited about gaming laptops again. Apple wasn't at CES this year – as usual – but it didn't stop the company from having one of the best showings out of all the companies that actually were at CES, thanks to its key partnerships in the home entertainment space. This could very well be the future of VR, making the awesome Vive more portable. At least, we think it could be. We're not sure, as the press conference was somewhere between a tease and a launch - which is why we're amazed and frustrated by the Vive Cosmos in equal measure. We've seen some truly amazing technology on show at CES 2019. You can find our individual hands on time with the products further down the page, but here are the biggest news stories and most interesting products we've seen so far. Nissan's all-electric Leaf line of vehicles has been updated at this year's CES with the Nissan Leaf e+. On top of features like the e-Pedal, this revamped model will have a 40% increase in range over its predecessor. We also got to check out Nissan's new Invisible-toVisible (I2V) technology, which effectively fills drivers in on details they otherwise wouldn't be able to see at a glance, such as obstacles around blind corners or empty parking spaces in a busy carpark. The newly-formed 8K Association (8KA, for short) made up of Samsung, Panasonic, TCL, Hisense and AUO has been created to figure out what standards make the most sense for the future and have its members take a more careful approach toward adoption, so consumers will understand better what kind of quality they're getting with their new TV. During its CES 2019 keynote, AMD announced the Radeon VII graphics card, which is the company's latest and most powerful consumer GPU. As expected, this is AMD’s first 7-nanometer (nm) graphics processor, and improves upon the previous generation in every way. This is significantly greather than the 145-degree and 120-degree offered by the HTC Vive and Oculus Rift respectively. The best news is that we'll be seeing the units in hands of customers as soon as February. HTC is speeding along to its next headset and its shooting for the starts with its newly announced Cosmos headset. The headset maker claims it's next device will be lighter, easier to setup and require no external tracking software. We had our first look into the HTC Cosmos, but it'll be months before HTC will share more about its form factor and functions so this one won't be coming any time soon. In the more immediate future, HTC also announced the Vive Pro Eye, which features eye-tracking technology, and Viveport Infinity games pass subscription service that's basically Netflix for VR. Best of all, the MateBook 13 will continue Huawei's tradition of releasing powerful tech in stylish Apple-like designs for a lot less money than the competition. The laptop will be available later in January for $999 (about £780, AU$1,410) for the Mystic Silver Core i5-8265U model. Users can opt for the Space Gray Intel Core i7-8565U MateBook 13, with Nvidia MX150 graphics for $1,299 (about £1,025, AU$1,830). In fact, just after Nvidia's announcement, a range of laptop makers such as HP and Razer, announced new laptops with RTX mobile graphics cards. This will be huge for gaming laptops in 2019. On top of the usual refresh of internal specs to bring it up to 2019's standards, the latest Dell XPS 13 (2019) finally moves its webcam to where it's meant to be! A CES launch for the previously announced Samsung Galaxy Home smart speaker – compete with Bixby – seems a shoo-in, but will Samsung launch its Galaxy X foldable phone? "While the full Samsung launch might be at Mobile World Congress we could instead see the Samsung Galaxy S10 launched at CES, which won’t be foldable but will have 5G and triple camera, plus a new notch design on the front panel," says Tom Morrod, Senior Research Director, IHS Markit. Looking to get ahead of the deluge of news, Samsung has announced two new versions of its Samsung Notebook 9 Pen 2-in-1 laptop. Scheduled for a vague ‘2019’ release and with no pricing to speak of, the laptops are both a rehash (13.3-inch) and an expansion (15-inch) of the late 2017 debut model. We've also had a new Samsung Notebook Odyssey announced, which will be the company's most powerful laptop yet. On the TV front, Samsung have rejigged its MicroLED range: now with a 'smaller' 75-inch modular television called The Window, and a far larger 219-inch telly carrying the name of The Wall. We've also seen a new size option for the recent 85-inch Q900R 8K QLED TV, boosting the already-incredible display up to a whopping 98-inch wonder. We heard rumors of a possible transparent TV being patented by the company, and since Samsung is often launching design-led screens, that wouldn't be a surprise – though if you're after some more practical features, the newly announced Remote Access should be able to source files, programs and cloud services from connected devices and computers direct to your TV. The last rumor we've heard concerning Samsung 2019 TVs is that they might include both Bixby and Google Assistant – giving users the choice over which assistant they'd like to use. Sony first launched the Master Series range last year for its high-end home televisions, and has now confirmed this year's flagship will be Sony's Z9G 8K LED TV: an 85-inch monster with 8K resolution and Sony's latest X1 Ultimate processor. The new chips aim to bolster modern PC performance, while Intel's new Project Athena initiative hopes to push mobile computing to the next era with thinner and lighter hardware across industry partners like Huawei, Asus, and Lenovo. As expected, we've seen a lot of new TVs and TV-related announcements from LG. The Korean-based electronics manufacturer revealed the boosted Alpha 9 (Gen. 2) TV processor that will power its 2019 OLED TVs in advance of CES, and it was clear going in that LG would have a lot to show. The highlight of LG's conference has to be its rollable OLED television, now named as the LG Signature Series OLED TV R, which will be on sale in the second half of the year – and given its unique mechanical design, certainly won't be cheap. But otherwise LG's conference was marked by collaboration. There are a host of new partnerships with other manufacturers, with Apple Airplay 2 support and a dedicated iTunes movies app coming to LG's ThinQ smart TVs this year. LG is also combining support for Amazon Alexa and Google Assistant, giving more choice than ever with TV voice controls. We had our hearts set on LG's foldable phone being unveiled, though it looks like we may have to wait until MWC 2019 to hear more on that. Among other things, Panasonic has promised to "bring Hollywood home" with its latest and greatest GZ2000 OLED TV. The TV will be exclusively compatible with the high dynamic range still mode (or HLG photography) found on the company's Lumix range of cameras, making it ideal for professional photographers reviewing or displaying their work. Beyond processors, CES 2019 might be the place that we see the company's next AMD Navi GPUs – though, that seems a little less likely than the 3rd-gen processors. Something that's beyond rumor, however, is the new line of Vixia camcorders, with Canon revealing its HF G50, HF W11, and HF W10 camcorders. While the latter two are built to tackle the elements, with waterproof, dustproof, and shockproof bodies able to withstand temperatures of -10C / 14F, the G50 is aimed more at the prosumer market with some impressive specs. The world's first foldable phone is here. Royole beat LG and Samsung to the punch with the Royole FlexPai, featuring a 7.8-inch AMOLED screen that folds in half. The 'developer' version of the handset is already on sale, albeit for a pricey $1,318 (around £1,035, AU$1,850), and we're sure to see a lot more of this foldable tech in the coming year. We've managed to spend a little bit of time with it on the showroom floor and have laid out some initial impressions, so be sure to check out our hands-on review of the Royole Flexpai. It's easy to overlook some of the smaller smart home releases alongside the big PC and television announcements – but the new WeMo Light Switch is a simple replacement for an existing dumb light switch, which can connect direct to the Apple HomeKit ecosystem without the old WeMo bridge.